Chèvre Means "Goat": In The United States, fresh goat cheese has become widely referred to as "chèvre". Maybe people think it makes them sound more sophisticated than to say "fresh goat cheese" but "chèvre" is actually just the French word for "goat". The correct French for "goat cheese" is "fromage de chèvre " - a term that describes the whole range of cheeses made from goat's milk, not a specific kind of cheese. "Fresh goat cheese" in French would properly be called "fromage de chèvre frais". So... unless you want informed people to think you are spreading an actual goat on your baguette for that crostini, be careful what you say! What is "goat cheese"? : At its most basic, goat cheese is made by allowing raw goat's milk to naturally curdle, draining the curds and, perhaps, adding a little salt. That, in essence, is Fresh Goat Cheese. From there, variations in the milk , added ingredients and varying processes allow for the making of an almost limitless variety of cheeses from goat's milk. How many goat cheeses are there? France recognizes about 300 "official" cheeses. 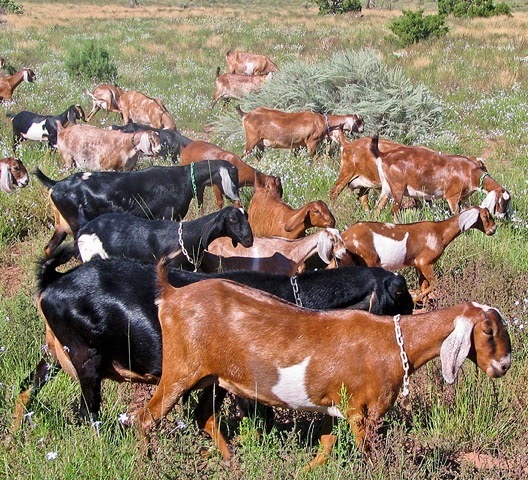 These are grouped into 8 "families" (Les huit familles de fromage) and goats are the only species with their own unique category! There are over a hundred recognized varieties of goat cheese in France in an almost limitless array of styles, shapes and sizes. While it is possible to make nearly any style of cheese from goat's milk, most is made into one of two styles: Fresh Cheese like Fresh Goat Cheese, and Soft-Ripened Cheeses(like Crottin de Chavignol). Feta and Gjetost are two other well-known cheese varieties classically made with goat milk. What makes one cheese different from another? : In addition to the obvious differences the quality and type of milk (cow, goat, sheep etc) can make, other cheese making ingredients (cheese cultures or other acidifying agents, rennet, or other coagulators, cheese making mold spores, herbs, spices and other seasonings, etc) and cheese making processes with the milk (pasteurizing, normalizing, blending), with the curds (cooking, stretching, pressing), or with the formed cheeses (brining, curing, aging, washing, affinage, etc) all can impact the final resultant cheese! Some cheese terms: There are a lot of words used to describe or market cheeses these days and while "Organic" and "Certified Humanely Raised and Handled" have legal meanings - "Farmstead" "sustainable", "artisan", "local" do not (at least yet). Still, they should and often do mean something interesting or important (you just have to trust the source). "Farmstead" describes a cheese made on the same farm where the milk was collected. "Artisan" means a predominantly hand-made product, usually made in very small batches where care and attention to its making can be ensured. "Local" and "sustainable" are too subjective to mean very much but it usually indicates that the cheese maker is making a conscientious effort to make and distribute the product responsibly. What is "Terroir"? : You'll sometimes hear a cheese maker or a cheese monger (someone who specializes in selling cheeses) talk about "terroir" [ter-wahr]. It's a term borrowed from the French wine making industry where it means the environmental conditions (soil, climate etc.) in which the grapes are grown. Exactly the same grapes grown under different condition will produce very different wines even when made exactly the same way. It is much the same with other food products but cheese is an exceptionally good example. For goat cheese, "terroir" means: the conditions in which the goats are raised (what they eat, drink and breath) and the cheese made that give the it its unique characteristics. Accentuate the positive NOT the negative. Milk gets concentrated about ten times to make cheese so the milk used for cheesemaking must be of the highest quality. While the object of cheese making is to accentuate the unique and delicious attributes in the milk, it is easy to understand how even minor flaws in the milk can result in major flaws in the cheese. You gotta have "Culture" One of the most important cheese making ingredients after the milk is the culture. A "culture" is a strain or combination of strains of bacteria. There are hundreds of specific cheese making cultures on the market. These cultures are used alone or in combination to do a wide variety of jobs during the cheese making process from acidifying the milk (converting lactose to lactic acid), to enhancing the buttery flavor of certain cheeses (cheddars), to creating gaseous holes in the final product (Emmentaler or "Swiss" cheese). Be Bold with Mold: Molds are another important ingredient for many cheeses and there are many specific strains used for specific types of cheeses. Penicillium Candidum is one of the molds responsible for the fuzzy white rinds and runny insides of a perfect Brie or Camembert. Brevibacterium linens (or "b. linens") are responsible for the red/orange coloring and "stinkyness" of brick and Limburger cheeses. Penicillium roqueforti is the blue-green mold that makes blue cheese, Roquefort, Stilton, Gorgonzola, etc possible. What is "Industrial cheese"? Cheese making is mostly a big business, especially in the US. We produce over 5 million metric tons of cheese a year in this country. Kraft alone sold nearly 4 billion dollars of cheese products in 2012 (and they were only the country's 6th largest cheese producer that year!). Large-scale/ industrial/factory cheese making is a science, not an art. Big cheese making is all about logistics and big production science. While here, at Black Mesa Ranch, we make cheese with about 14 gallons of milk at a time, there are cheese factories that process over 400,000 gallons of milk per day! Kraft chiefly employs managers, researchers, chemists and "Product Development Scientists" to make their Kraft Singles but we have one cheese maker (me!) who also wears the hats of farmhand, IT guy, chief cook and bottle washer. As a matter of fact we have a sign in our cheese kitchen that says: "Artisan cheese making. 10% art, 10% science, 80% doing the dishes". That about sums it up! Does "seasonal" matter with goat cheese? Animals only produce milk after they give birth to their young but it's easy to forget this simple fact of nature when we have available an apparently uninterruptable supply of fresh milk, cheese, and other dairy products. Modern dairying technologies, and animal management practices have given us limitless fresh dairy year-round but, much like out of season vegetables from the supermarket, this consistent supply of dairy can be deficient. Traditionally, there are cheeses only made in certain seasons. For example, rich winter milk is too high in butterfat to make a great Swiss-style cheese and it can wreak havoc with trying to make a nice stretchy mozzarella. Differences in the seasonal forages of free-ranging dairy animals can greatly impact their milk and the products made from it. While the majority of dairying in the US occurs without consideration for the natural cycles of nature and the animals, there are still some dairies and cheese makers who understand that making cheese in accordance with the seasons will yield the best product. Echoing my earlier comment about liking goat's milk yogurt more than cow's milk yogurt, I also find I prefer feta made from goat's milk to the more commonly served feta made from sheep's milk. I loved reading this. Goat cheese is my favorite. I knew there were many types of goat cheeses in France but had no idea how many, wow! This is a very informative article. Thanks! and ... 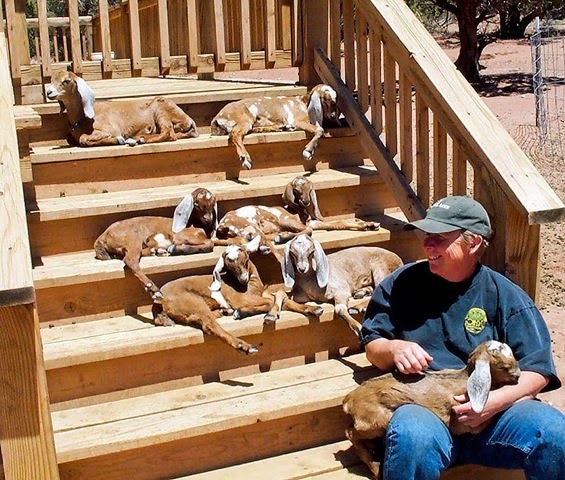 I love goats!!! I love all the different American artisanal & farmstead cheeses that are available these days - hope to to taste Black Mesa Ranch products one day! Goat cheese is one of my faves...what a great informative post! I LOVE goat cheese! I usually put it in my salads or on crostini! This post was great! Love learning new things! Very interesting information about goat's cheese! Thanks so much for sharing your knowledge. As a fellow goat's milk cheesemaker, you hit the nail on the head - - - 10% art, 10% science and 80% dishwashing. Love it! Love all of the information! We get goat cheese from the farmers market here, it's so good! Great, informative article! I am definitely bookmarking this! I love goat's milk cheese. We used to get some raw goat's milk from a herd share and I had hoped to try my hand at some cheese. I heart goat cheese! Great info. What a great article and so informative! I love all the types of goats milk cheese. From fresh to aged. Plus who knew it was so easy to make at home? I love goat cheese soooooooo much! I love goat cheese too- I make my own mozzarella, but haven't never attempted goat cheese. You are inspiring me! What an informative post! I love goat cheese so much it's ridiculous!